Up to now, Tsubaki Factory have been told that we have this image of being reserved and quiet, but with our major debut on the 22nd of February this year, we'd like to do our best to make this year the year where Tsubaki Factory takes the lead role. On this day, the 2nd of January, we, Kobushi Factory, celebrate the 2nd year anniversary of our formation. We'll be starring in the stage-play 'JK Ninja Girls' that will be starting in February this year, which will also be made into a movie. It feels like we'll be getting increasingly more opportunities for acting work. So we'd like to take up acting jobs and further improve Kobushi Factory's ability to express ourselves. As a group, we would like to work hard towards the goal of having hall concerts by ourselves. So we ask for your kindness in this year as well. In November last year, I announced that I would be graduating from Hello! Project and Country Girls on the 30th of June this year. I've been part of the Hello! Project concerts since the summer of 2002, and this is my 30th. I've been doing this for a very long time, so I really feel sad when I think about the fact that it'll be my last Hello! Project concert. But as a member of Country Girls, we'll be releasing our double A side single 'Good Boy Bad Girl / Peanut Butter Jelly Love'. It'll be my last single, so I'm pretty pumped up. I'd like to do my best so that the kouhai will warmly accept it, so I ask for your kindness in this year as well. In 2016, we reached a total of 225 concerts throughout the country. We'd like to do our best to hold even more concerts, not just in Japan, but overseas as well. The five of us in Juice=Juice would like to go on doing our best. We ask for your kindness in this year as well. In 2016, as Morning Musume。’16, we got to perform in Houston in America as well as Korea and Taiwan. We got to collaborate with a lot of other idols. It was a year that let us broaden our horizons. So hopefully we'll get to do a lot more performances overseas in 2017. And the new members have joined us, so we'd like to do our best to go on and properly create a new Morning Musume。’17. We ask for your kindness in this year as well. It's difficult to say this in front of the leader of Morning Musume。, but ANGERME's goal is to become the number one in Hello! Project. It's a big dream, but we'd like to work hard at it. In 2016, ANGERME saw a series of graduations and new entries. But now, we'll be doing our best in our new form, so we'd be happy if you would support us in 2017 as well. We ask for your kindness. My goal for this year is expressed in the kanji 華 (flamboyance). 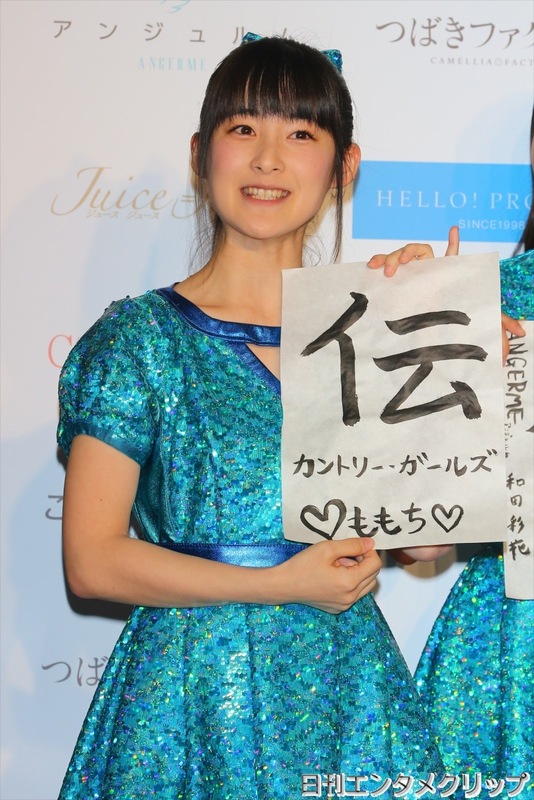 From 2017, I'll be active as a 13ki member of Morning Musume。 So I'd like to do my best that I'll grow gradually through lessons and concerts, to the point where I'll be able to pull of a brilliant (華やか) performances that won't lose to the senpai. My goal for the year is 進 (progress). It's the 進 of progress (進歩), as I'll be starting new activities from 2017.I think that there'll be ever harder, tougher things waiting for me compared to what I've experienced before. So, as I think that I have to steadily advance (進む) step by step, that's why I chose to write that kanji. It's 'world conquest'. I mean world conquest in the sense of the idol world. It's something that I undoubtedly want. And now, the idol world is definitely heated up, and we're in what's called the Warring States Period. But I truly love Hello! Project, I think that Hello! Project is the best. So it's world conquest in the sense that I want to reaffirm our position. It would be good to gradually push on forward. For me, this time, it's the character 伝 (transmit). I've been in Hello! Project for about 15 years, so I'd like to properly impart (伝える) the traditions (伝統) of Hello! Project. And there's still half a year left, so I'd like to further polish myself, and do my best to become a legendary (伝説) idol. And the cold days are continuing on, so please be careful of' infectious diseases (伝染病) like the flu. I ask for your kindness in this year as well. Momo: I'd announced my candidacy, so I thought that [an offer to be the leader] would come. But I was told it would be Wada, and it was officially announced on the 31st of December. But just before that, I thought that it would be be me. 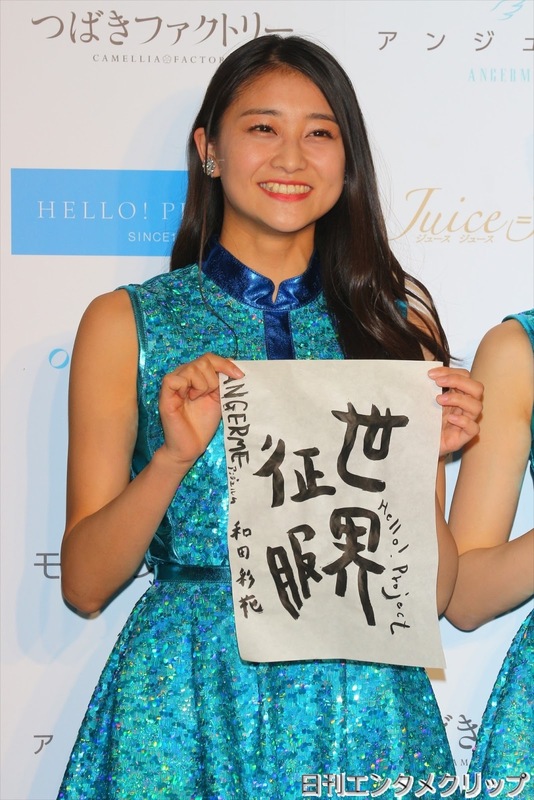 Ayacho: I was really anxious, so I really really worried over whether I should refuse. I didn't know how to bring it up, and I'm willing to give it my best. Ayacho: But Hello! Project does have many traditions, so while we have to maintain those traditions, it's not just maintaining them, we also have to connect them. So it would be nice to craft it into a form that's linked to some new form. Momo: I think that it's important for idols to be at their cutest, so I'd like that to be the most important. 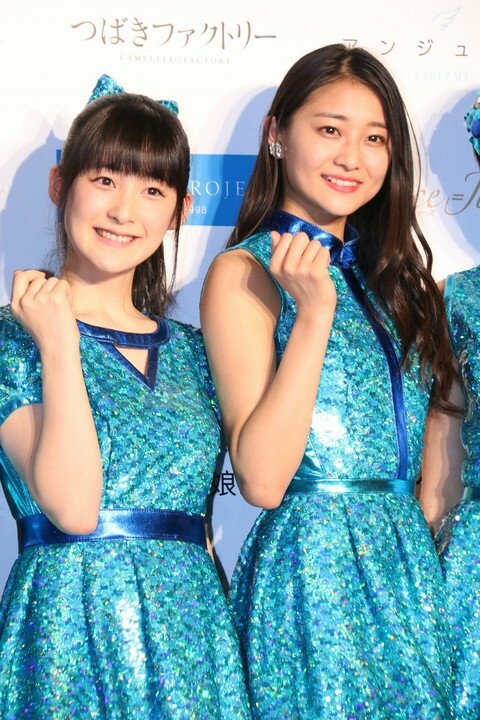 And once I graduate, it seems like Ayacho alone will be the oldest in age, and the members and the staff may come to think that way as well, so I hope that you don't lose to that and lead on as the leader at heart. I would like to go on to find out myself what role I can play as subleader. 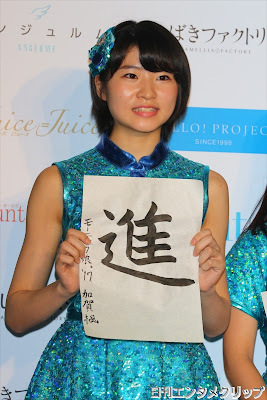 Wada-san said that she'd like ANGERME to lead, but Morning Musume。 won't lose! I feel that Morning Musume。 should lead H!P, so I'd like to undauntedly work hard at that. Along with that, I'd like to enliven H!P. Among the Hello! Project groups, there are many groups that are an assembly of really individually cute girls, so it would be nice if that could strongly seep through in 2017. I'm jealous of the kids who are being born now. You know, since they'll be getting taught by Momochi-senpai.